Join Danfoss Learning and gain access to hundreds of online courses on a wide variety of engineering topics. It’s free to sign up and you can log on anytime you want, which means you can learn at your own pace. Pass the final exam and earn your certification on many courses. 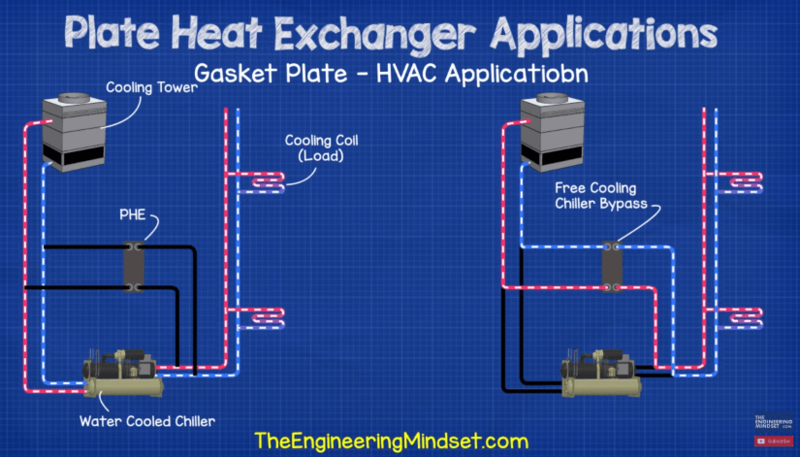 Lets first just briefly recap on what a heat exchanger is and how these plate type work. 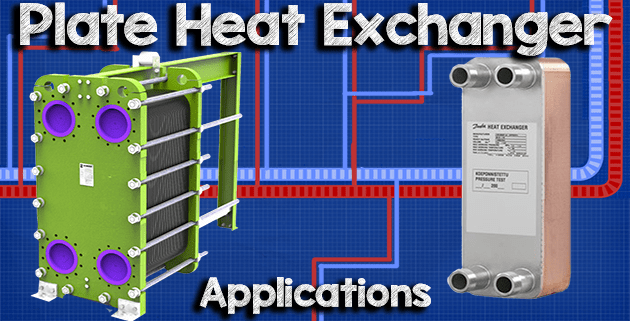 A heat exchanger is a device used to transfer thermal energy from one fluid to another. 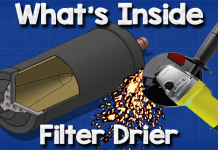 Both fluids are completely separated by the heat exchanger, they never meet or mix. The fluids can be anything such as water, oil, refrigerant etc. The fluids must be at different temperatures to transfer heat and heat always flows from hot to cold. 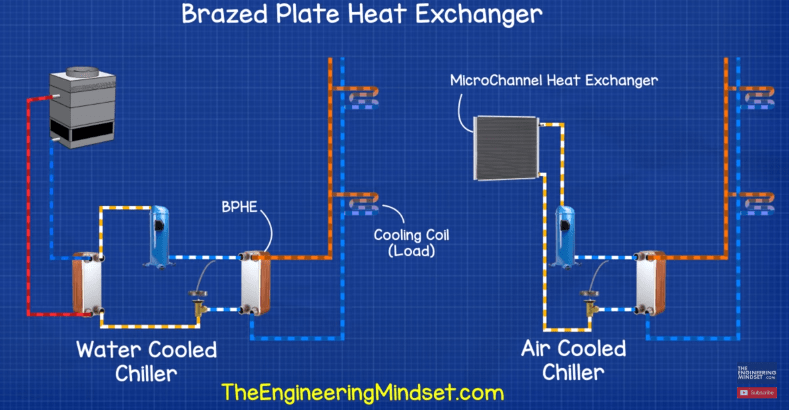 There are two main types of plate heat exchangers. Gasket type and brazed plate type. Lets look at Gasket type first. Gasket type heat exchangers consist of multiple sheets of thin metal arranged to create channels. Gaskets sit in between each of the plates and form a seal. 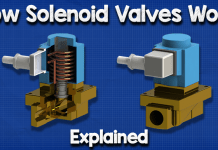 The seal prevents the fluids from mixing and leaking but they also dictate which channels each fluid can flow through. Gasket plate heat exchangers can increase or decrease their heating or cooling capacity by adding or removing internal plates. They can also be dismantled for cleaning and maintenance. Materials used: The plates are typically made from stainless steel, sometimes titanium, the end plates are usually mild steel and the gaskets are usually made from rubber. Applications of gasket plate heat exchangers: You’re going to find these in many heavy duty applications for HVAC as well as industrial and process engineering applications, lets look at some examples of these. 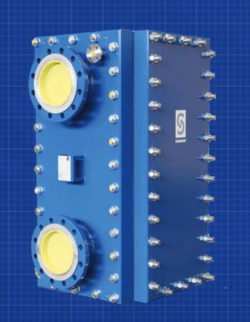 You’ll find these types of heat exchangers used to connect buildings to district heating and cooling networks. 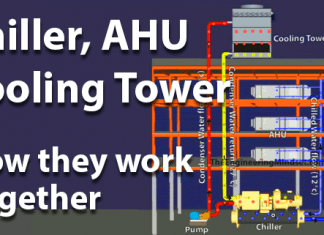 The district heating and cooling centre distributes the hot and or cold fluids around some central pipes to form a network. Buildings are then connected to these central networks to make use of the heating and cooling fluids. To connect the buildings to the networks, a gasket plate heat exchanger is installed between the buildings central plant circuit and the district network. The central plant circuit pulls heat or coolth out of the network as required, usually through a heat meter to measure the consumption. You’ll find gasket plate heat exchangers used in many HVAC applications to indirectly connect chillers, boilers and cooling towers to central plant systems. They’re also used for economiser circuits and heat recovery circuits to reduce the cooling load on the chillers. Many industrial plants will use plate heat exchangers for things such as pasteurization and waste heat recovery. For example a manufacturing plant may use water to cool down a hot, newly manufactured beverage product. The hot finished liquid product needs to be cooled down before bottling so it passes through a plate heat exchanger which is connected to the cooling circuit of a chiller. This extracts the unwanted heat without the two fluids mixing. Pros: Can be dismantled for cleaning. 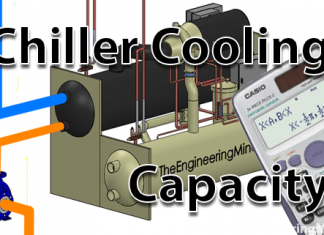 Heating/cooling capacity can be changed. Parts can be quickly replaced if damaged. Cons: leaks are rare but more likely due to the gaskets, higher pressure drop than shell and tube. There’s a variation of the plate and frame heat exchanger that I just want to briefly cover, that’s the welded plate and frame type. In this type the plates are all welded together in one block, they therefore can’t be fully dismantled and the heating/cooling capacity is fixed. 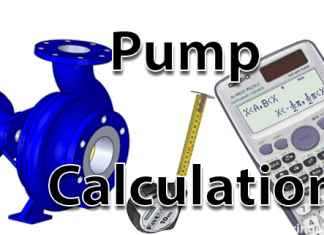 However, they do allow for much higher pressure and temperature fluids to be used so you’ll find these mostly in heavy industrial, power plants and oil refinery applications. Applications: these are typically used in smaller applications however in recent years this has started to change and larger units are being produced and applied to industry. These heat exchangers also use thin plates to separate the fluids although the plates are brazed together to completely seal them together. The brazing and alignment of the plates forms the seal and dictates which channel each fluid can flow into. The heat interface units which connect individual apartments or homes to heating and cooling networks will usually use a brazed plate type. 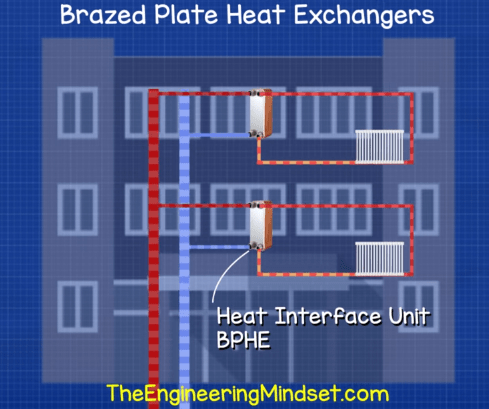 Sometimes large brazed plate heat exchangers are used to connect buildings to district heating or cooling networks but the majority currently use gasket type. Heat pumps will often use brazed plate to connect the separated loops together. This is quite common in water source heat pumps with brazed plates being used for the condenser and evaporator for the refrigerant, and coils used for the water loops. Chillers have began to be produced using brazed plate heat exchangers. On an air cooled chiller the evaporator is replaced with a brazed plate and in water cooled chillers both the evaporator and the condenser can be replaced with brazed plate, depending on the size of the cooling load. Calorifiers and hot water tanks are often indirectly connected to heating circuits through brazed plate heat exchangers. This separates the two and allows instantaneous hot water to be provided or hot water can be drawn from the storage vessel depending on the demand. Materials: The plates and the casing are typically made from stainless steel but the brazing which joins each of the plates is usually made from copper and sometimes stainless steel depending on the application. Pros: leaks less likely. Slightly higher efficiency than gasket type. More compact than gasket type. Cons: Harder to clean. If damaged whole unit must be replaced. Micro plate heat exchangers can be either gasket or brazed plate. They are the next evolution of plate heat exchangers providing the greatest heat exchanger efficiency to date. They come in both gasket as well as brazed plate type, it’s actually the plate which characterises this type of heat exchanger. Usually the heat exchanger has a pattern like a chevron or fish bone which is pressed into the plate to increase the heat transfer. 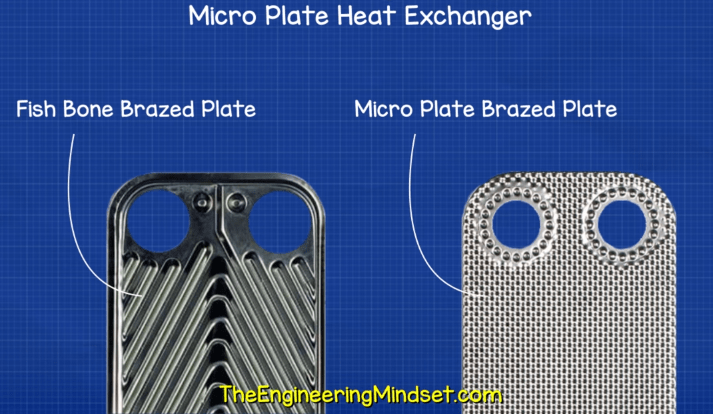 Micro plate heat exchangers instead use small dimples. There are a number of reasons why this is a great design, firstly this allows the fluids to be spread across the plates much more evenly, this maximises the heat transfer surface area. This also causes the fluids to flow much more turbulently which again increases the heat transfer. The small dimples increase the surface area allowing more opportunity for heat to transfer. 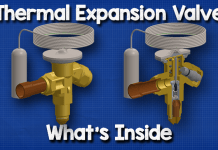 These design improvements allow smaller and lighter heat exchangers to be used. Heat pumps, VRF units, chiller evaporators and condensers depending on if you have an air or water-cooled chiller. For example you might design or even purchase a new water cooled chiller, for a commercial building, and specify that it must use micro plate heat exchangers or brazed plate type instead of a typical and traditional shell and tube type. 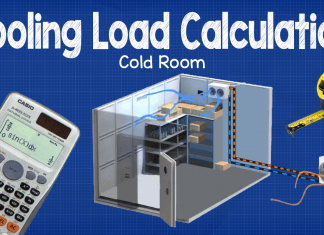 This will allow for a very compact and efficient design, saving space and energy. In VTV system 1 HP =0.8 TR is it current? 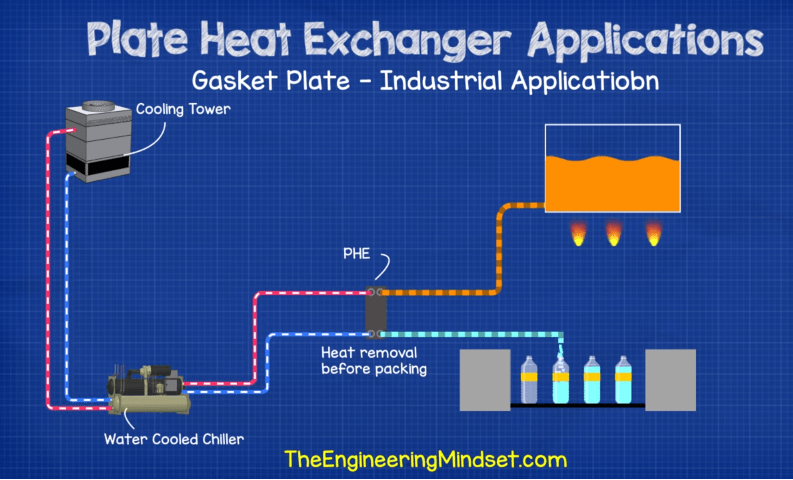 Paul Evans has provided a useful and comprehensive 1-page summary of Heat Exchangers for anyone who is looking for a concise overview of what gasketed plate heat exchangers are all about.